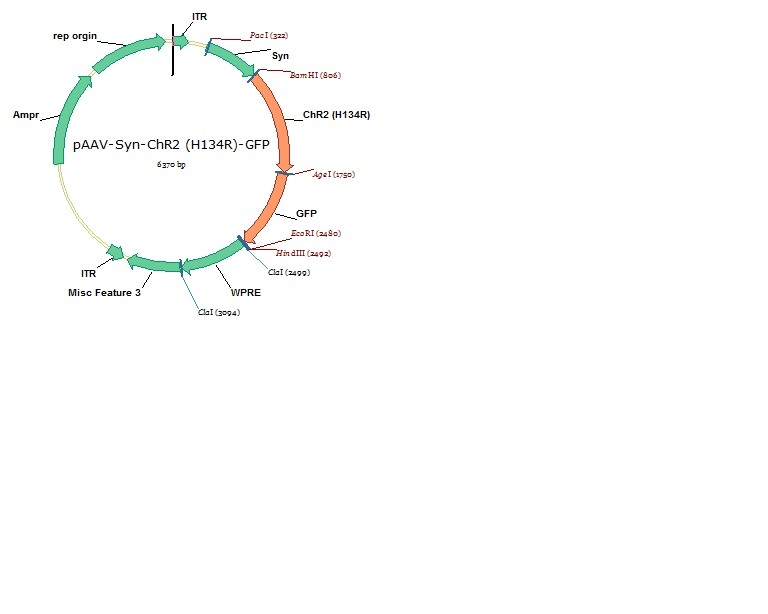 Plasmid is completely sequenced by the depositing lab. Multiple digestions were done to verify the vector structure. The construct and the virus were both tested in vitro. Ready-to-use AAV8 particles produced from pAAV-Syn-ChR2(H134R)-GFP (#58880). 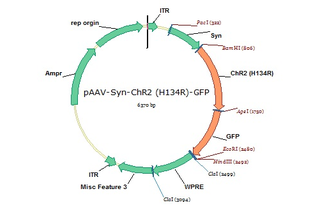 In addition to the viral particles, you will also receive purified pAAV-Syn-ChR2(H134R)-GFP plasmid DNA. These AAV preparations are suitable purity for injection into animals. Ready-to-use AAV Retrograde particles produced from pAAV-Syn-ChR2(H134R)-GFP (#58880). 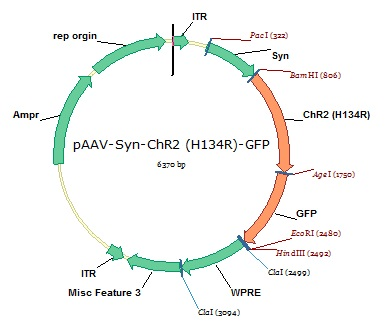 In addition to the viral particles, you will also receive purified pAAV-Syn-ChR2(H134R)-GFP plasmid DNA. Humanized channelrhodopsin H134R mutant fused to GFP, under the control of the Synapsin promoter. These AAV were produced with a retrograde serotype, which permits retrograde access to projection neurons. These AAV preparations are suitable purity for injection into animals.